Plus, Asian stocks tumble on fears of US Fed rate hike and Brexit, and Duterte selects DOH, DOT, DTI chiefs. Microsoft buys LinkedIn at $196 per share, or total value of transaction of $26.2 billion, the companies announced the mega deal on Monday (evening, Manila time), June 13. LinkedIn is the world’s largest professional network while Microsoft reinvented itself as a major platform and productivity company for the mobile-first, cloud-first world. 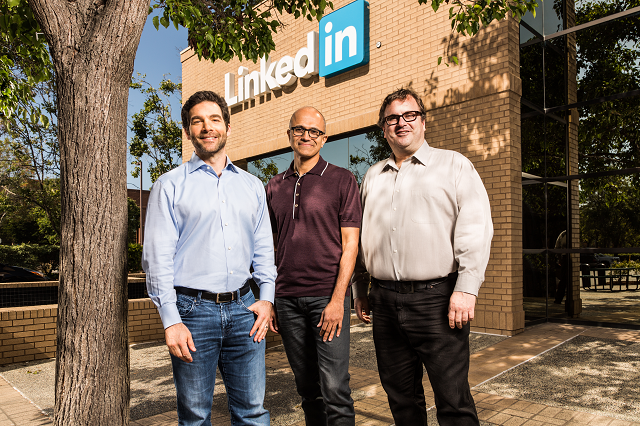 Jeff Weiner will remain CEO of LinkedIn, reporting to Satya Nadella, CEO of Microsoft. Reid Hoffman, chairman of the board, co-founder, and controlling shareholder of LinkedIn, and Weiner both fully support this transaction. The transaction is eyed to close this calendar year. “Markets around the world were awash in red on Monday as global uncertainty spooked nervous investors,” CNNMoney reported. At the top of the list are the upcoming Brexit vote and more concerning Chinese economic data. The stunning mass shooting in Orlando, Florida that killed 49 people has also left everyone, including investors, shaken. US stocks are falling while Dow was down by over 60 points. European markets down over 1%. France's CAC 40 is down almost 1.5%. Japan's benchmark Nikkei shed 3.5%, while Hong Kong's Hang Seng Index dropped 2.5%. Investors are looking ahead to a policy announcement later this week from the US Federal Reserve, which could hike interest rates. The Bank of Japan is also due for a policy announcement mid-week. There is also the looming possibility of turmoil in Europe next week if the United Kingdom votes to leave the European Union. President-elect Rodrigo Duterte’s Deputy Spokesman Ernie Abella announced Monday night the appointment of Paulyn Jean Rosell-Ubial, Wanda Corazon Teo, and Ramon Lopez as Health, Tourism, and Trade secretaries, respectively. Abella also said the recent picks completed Duterte's roster of Cabinet secretaries. Ubial is an assistant secretary of the DOH for the Office of Health Regulations. Teo is the owner of Mt. Apo Travel and Tours. Lopez, on the other hand is with the RFM Corporation as vice president and executive assistant to the President and CEO as well as concurrent head of the Corporate Planning.